I would like more information about 2309 Ocean Ave, Venice, CA 90291 MLS #19435238. Venice prime location, only 150 feet from the Canals. Walk to Beach & Canals from this adorable family 3-bed 2-bath home. Many upgrades & charming features throughout, this lovely home, remodeled kitchen, new hardwood floors, & sauna. Double pane windows, 2 skylights, tankless water heater, 1.5-car garage plus 1-car fenced driveway parking with large roof-top deck with views of Canals. Lovely yard, spa and brick patio. Great property in a great area. This property may be purchased with MLS # 19-435238, 486-488-490 Carroll Ave., a Triplex fully leased for $6, 204 a month, that forms 2 contiguous parcels. Buy both properties together with $100, 000 discount. Call Listing Agent for more info on triplex. A unique opportunity to acquire 2 adjacent properties in Venice for immediate cash flow, and future development. The Single Family Residence is currently leased for $4, 995 a month. Please do not contact/disturb tenants of either property. Purchase subject to the current lease agreement. The property on 2309 Ocean Ave, Venice, CA 90291 is listed for $1,700,000 as MLS #19435238. 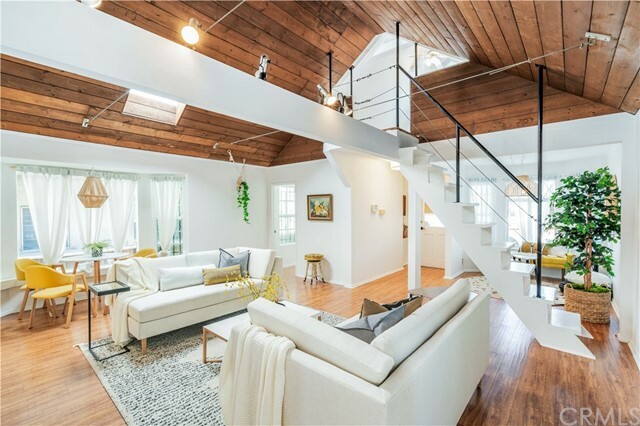 This 3 bedroom, 2 bathroom 1,100 sqft Single Family Residence built in 1921 located in Venice, CA 90291. For more information regarding this or any other property in Venice, please contact us at (424) 272-1339.